But on the subject of tailoring, here are a few excellent sites I’ve come across recently that are great for sourcing more unusual dressmaking and tailoring supplies. Apart from a bit of an annoying YouTube video that starts playing as soon as you hit their products page (seriously, when will companies learn!!) – this site sells pretty much everything you need to make a suit – a range of linings (good place to source bemberg linings in the UK) and a broad range of interlinings. *Update – and very friendly customer service according to Anne from Compulsive Seamstress *. Kenton Trimmings – They have shop near Notting Hill and Queen’s Park but are online too. Gill Arnold – Again, thank you to Anne for letting me know about this one! You can get a range of interfacings and interlinings here. And she also offers starter tailoring kits! Looking for buttons, belts and button covering services? D M Buttons, Central London – You don’t have to be a big fashion company to get buttonholes and buttons covered for you. If you pop in, this little place will do buttonholes while you wait and you can send your buttons in via post to be covered. Harlequins – Mail order button and belt covering service. Send in your fabric (and no broken needles on my sewing machine later) and you get perfect belts back in the post. They also make up rouleau loops – definitely something I’d get someone else to do! I tried harlequin a few years ago after trying to make my own belts and not liking the results. 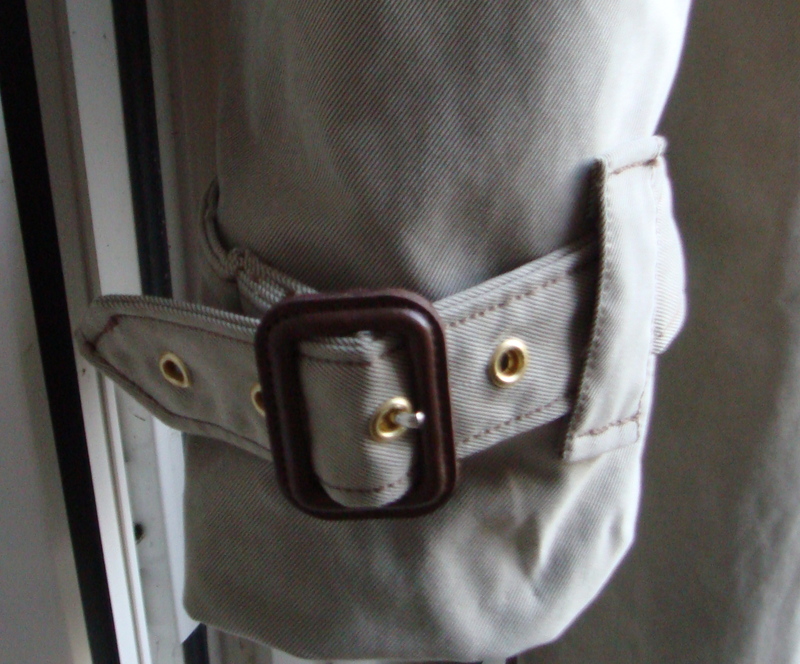 So I sent in my fabric and my buckle and below is what I got back – beautiful! Another little find, this shop is based in central London but also have a mail order service for button covering! The Button Queen, Central London – Another shop catering in buttons and who also do a button covering service – which you can do via mail order! Yep, you can send in fabric to be pleated 🙂 Did you know it takes 3m of fabric to make 1m of pleated fabric?! Know any other companies that should be on this list? Let me know! n.b. I am in no way affiliated to any of these shops, nor have I received any kickbacks from the companies mentioned. I’ve used Bernstien & Banley’s for years, they’re so helpful on the phone! For corsetry I’ve used Vena Cava Design and of course, I always use interfacings from Gill Arnold. Thanks Anne! I’ve never heard of Gill Arnold, I will add it to the list. Vena Cava is great for corsetry.